Gosh what fun we have just had in the forest today! The children began the session singing the forest school song and then playing 1, 2, 3 where are you? We then played the caterpillar game. The children had to stand in a line with the person at the front keeping their eyes open and then rest of the children closing their eyes. They had to trust one another and behave sensibly in order to keep their legs (the other children) attached to their head (the child at the front). It was great fun!! 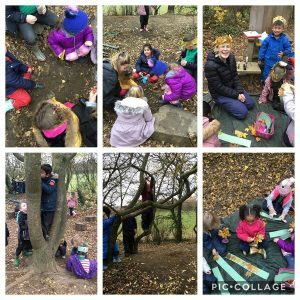 The children then had to hide different coloured strips of paper in the forest. Half of the class hide the paper and the other half had to find the paper. We then discussed which colours were easier to find and why and how animals are different colours to protect themselves from danger. Whilst the children had time to explore the forest, some children made leaf crowns. 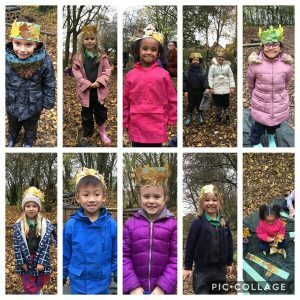 The children had to search the whole forest for big leaves to fill the crowns and thought careful about the colours and patterns. 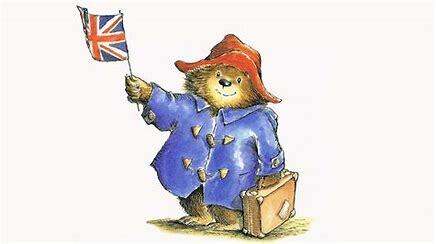 Don’t forget tomorrow is mufti day for Children in Need so you can come in your normal clothes! !